← Merry Christmas, Everyone — ENJOY the View! What follows further below is a letter sent by longtime anti-chemtrail advocate to the local government officials of the City of Gainesville, Florida. 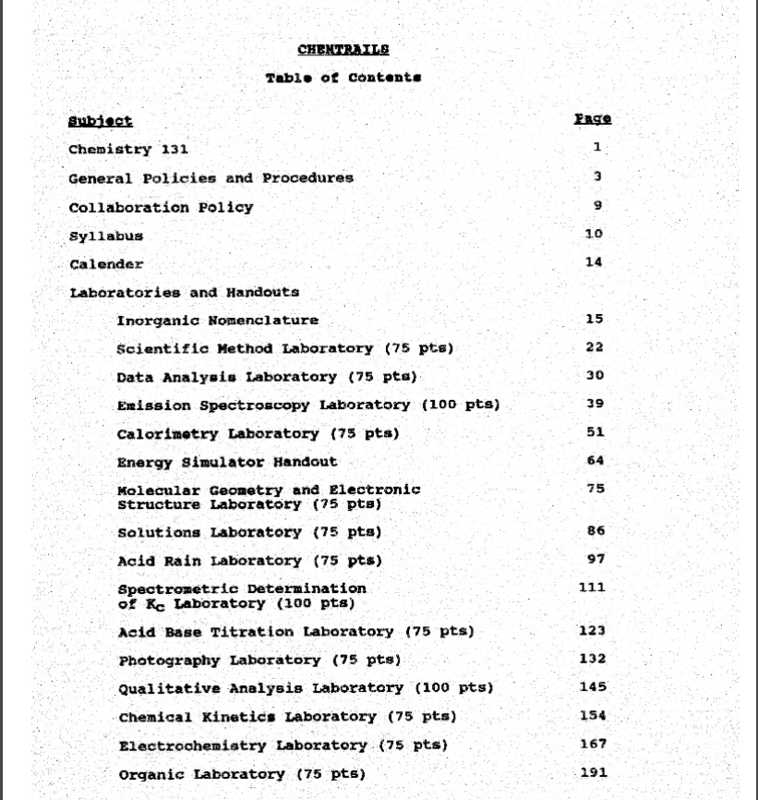 As you will see below, the official document is titled: “CHEMTRAILS MANUAL: Chemistry 131, Dept. of Chemistry, U.S. Air Force Academy”. A screenshot of the title page posted below is dated “October 30, 1990” and has “CHEMTRAILS” shown in large bold print at the top. 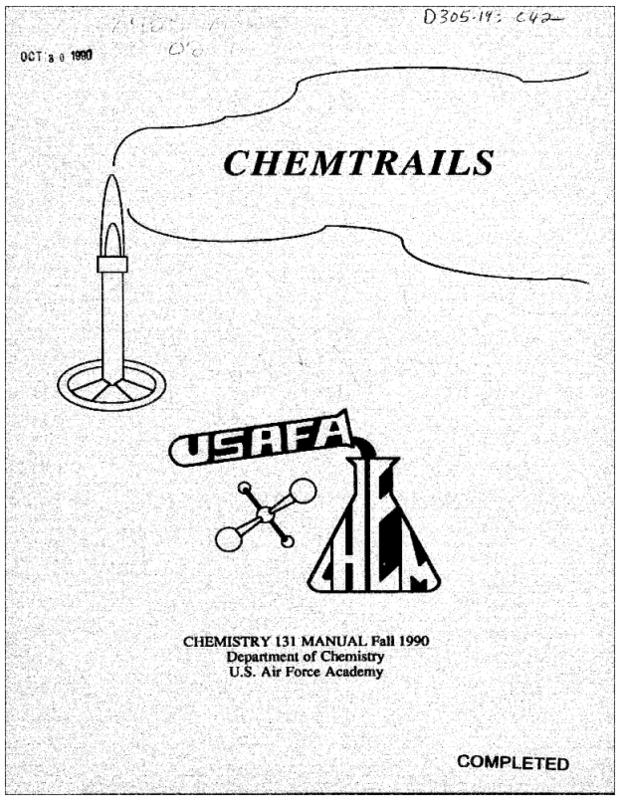 The Chemtrails “Conspiracy Theory” Began as a Department of Defense Publication. Simple research will reveal the term CHEMTRAILS was published by the department of defense in 1990 as title to a chemistry manual for the USAF Air Force Academy. 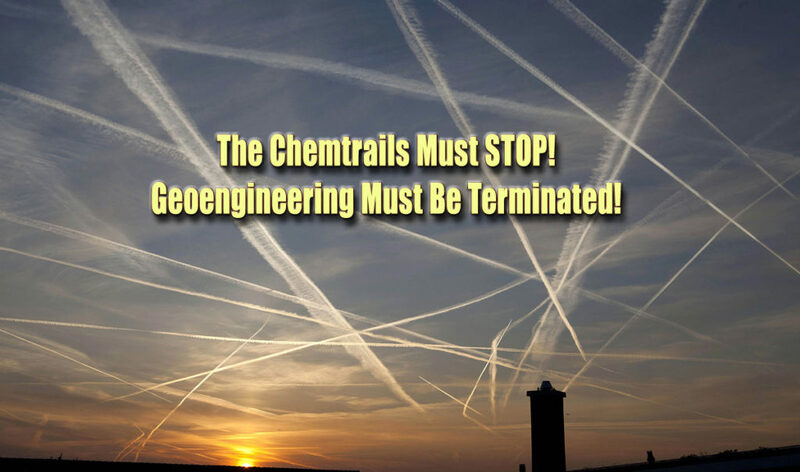 For nearly 30 years the Mainstream media has associated the term “chemtrails” with “conspiracy theory” without informing their readers it was the American taxpayer who funded the printing of the media maligned term, “CHEMTRAILS”. I was able to re-construct a 1990 CHEMTRAILS MANUAL using the microfilm resources of the Library system. More than chemistry – Beginning at page 64 the manual departs from pure science to discuss the political science of strategic oil and gas reserves including alternative energy development and timelines. 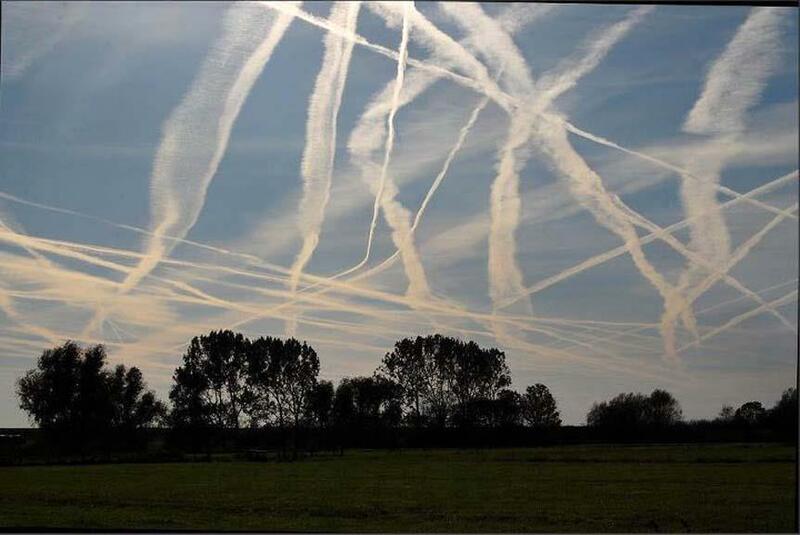 Those of us who have been monitoring chemtrails know that they have been regularly sprayed far earlier than 1990. In fact, the SOTN author of this article was first alerted to them by his mother in the 1970s in upstate New York. The screenshot below provides the hard evidence, which can be verified by chemtrail investigators, that this document was officially filed in the “U.S. 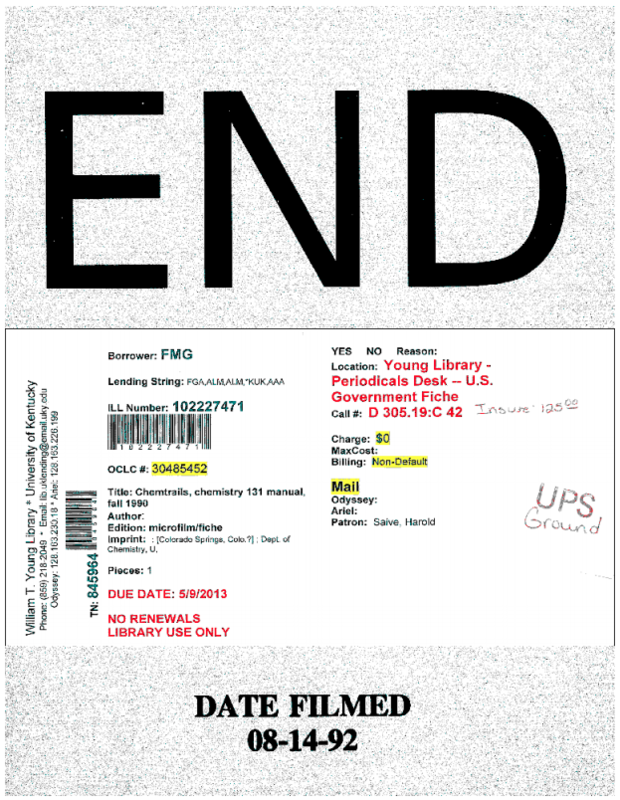 Government Fiche” with the “Young Library Periodicals Desk” at the “University of Kentucky”. And, that it was originally filmed on “08-14-92”. For those who suspect that they may suffer from Chemtrail syndrome, please read the following exposé. A thorough reading of this article is imperative for every family in America. The preceding paper is truly a “Must Read” as it is the most definitive treatment of Chemtrail syndrome on the Internet today. It’s important to point out that all of the reference articles included in this article are relatively dated, so one can only imagine how much more advanced these highly destructive and deadly covert programs have become. We do know that the catastrophic superstorm — Hurricane Michael — was a weaponized weather system from the get-go before it destroyed large swaths of the Florida Panhandle this past October of 2018. HURRICANE MICHAEL: A Geoengineered Superstorm Targeting Tallahassee and Florida Panhandle—Why!